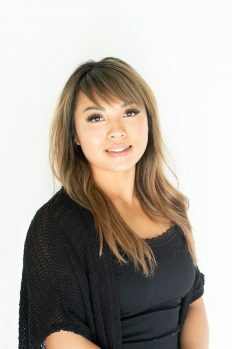 Brenda has been in the beauty industry for 4 years; she is a full time hairstylist at a salon in Airdrie and does beauty makeup, specializing in Bridal, glamour, photoshoots and grad. Brenda graduated from the advanced makeup artistry program at One Beauty Academy in 2017 where she gained experience doing bridal, editorial, fashion, runway and commercial makeup. Her mission is to enhance the beauty in everyone, allowing them to feel radiant and gorgeous, with confidence. She takes pride in assisting her clients in finding the right hair and makeup styles for their events.